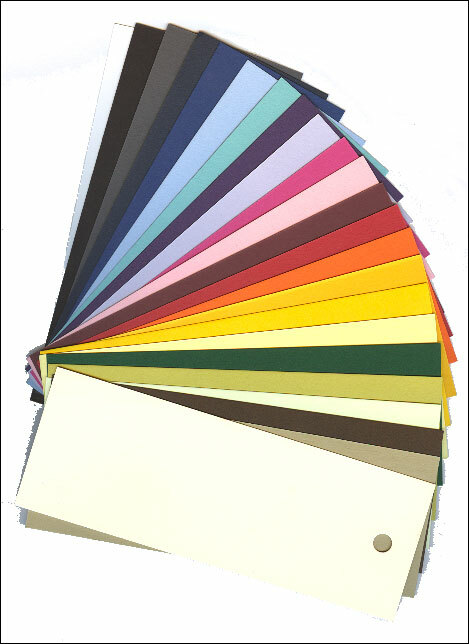 Our bookmarks are offered in 20 beautiful colors. 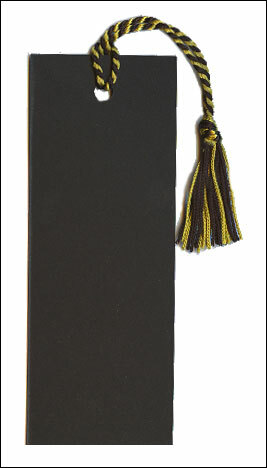 The paper is an 80 lb vellum finish measuring 2" by 5 1/2" with a hole at the top for attaching a bookmark tassel. This bookmark is good for all general craft applications including stamping, colored pencils, embossing, chalk, stencils and glitter. You can also print on this bookmark with your inkjet or laser printer. Our picture above shows all of the colors in the same order as our drop down menu where you make your color selection. The bookmarks are sold individually for $.09 each.